Laird Technologies designs and manufactures antenna and accessory products to exacting electrical and mechanical specifications for critical applications in Aerospace, Automotive Electronics, Computers, Data Communications, Defense, Public Safety, Telecommunications, Transportation, Satellite, and Medical communications. Laird Technologies offers a catalog of top quality mobile, portable and base antenna products which utilize their latest patented technologies, lean manufacturing techniques, custom automation and vertical integration. These products are widely used in wireless voice & data, security, military, asset tracking, two-way radio, public safety, and other mission critical applications. Many of their patented technologies offer solutions unavailable from other antenna manufacturers. The Laird Technologies product portfolio consists of thousands of antennas, mounts, and accessories. Additionally, most products can be customized for your particular application. We maintain a large inventory of the most popular Laird Technologies products and order daily to ensure that you get your product fast. Please do not hesitate to contact us with any questions. 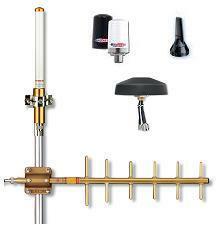 Laird Technologies antenna brands are know formerly as Antenex, Centurion, Cushcraft, PAC Wireless and RecepTec. Economical Voyager omnidirectional unity gain. Ideal for light duty VHF and UHF applications. Field tunable.